As hair gets longer, or tresses get damaged through styling your strands can end up looking dry, damaged and a little dull. Discover the Grow Gorgeous dry hair products that will give your lengths the love and care they need. 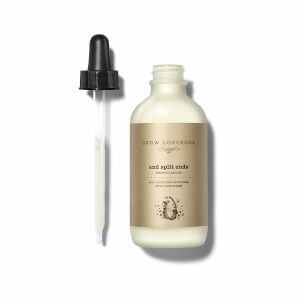 Try End Split Ends for a dry hair treatment that seals split ends and nourishes dry hair without weighing it down. Need something a little more intense? The Overnight to Gorgeous Hair Mask is the dry hair remedy you need to condition dry and hair and leave it looking gorgeous.